Wondering what to do with your Dad this Father’s Day weekend (18th June) to show him what a star Dad he is?! Look no further, we’ve got loads of wonderful things to do that will delight any Dad. Kick your weekend off at Cogges Manor Farm on Sunday the 18th; they’ve got classic cars, motorbikes and machinery that are sure to keep your Dad entertained for the day. Cogges are also on hand to keep those ‘big kid’ Dads occupied with tonnes of leafy woodland to build dens in and get up to mischief with the little ones! Take your Dad on a truly memorable journey on Sunday the 18th by hopping on an old Wickham trolley at Didcot Railway Centre – carriages that were originally introduced in 1948! The centre’s collection of steam trains will also be in operation for Dads to fascinate over, along with guided tours of the Locomotive Works. For those adventure-seeking Dads, spend some quality time in the great outdoors this Father’s Day weekend and visit some of the county’s most beautiful outdoor spaces. Take your kite up to White Horse Hill in Uffington and see how high it can fly whilst overlooking 6 other counties! Later walk across this ancient stretch of the ridgeway and discover the history of the area along the way. 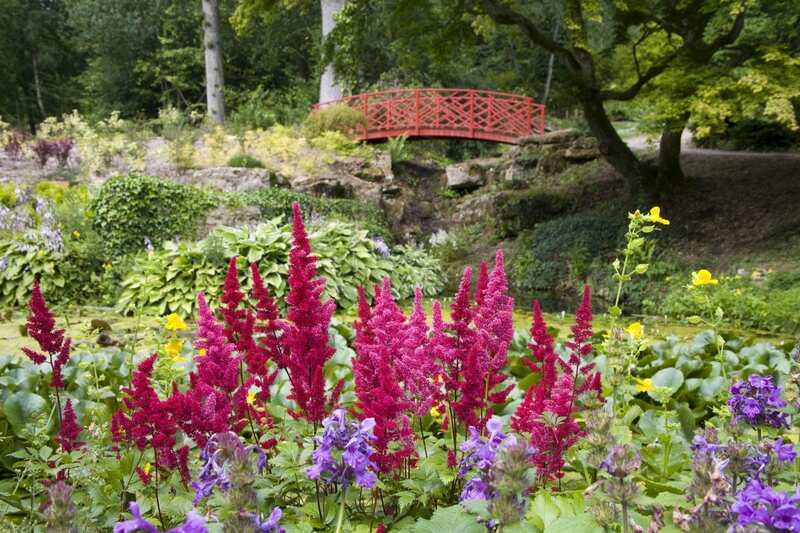 With free entry for all Dad’s at Batsford Arboretum this Father’s Day, take yours along and enjoy a summer walk through the beautiful gardens, followed by a comforting home cooked lunch or afternoon tea in the sunshine on the Garden Terrace Café – a perfect relaxing afternoon for your Dad. Is your Dad an ale fan? Why not take him on tour at one of the county’s fantastic breweries? Take a Wychwood Brewery tour and discover the process of crafting Wychwood and Brakspear Beers, from the raw ingredients to the finished product. Afterwards, enjoy sampling some of the fine ales produced which you can buy in the breweries gift shop to take home and enjoy later! Hook Norton Brewery also offers insightful tours; guided around the brewery you’ll discover the steam engine that was installed in 1899 to power the machinery needed to produce the beer! Learn all about the history and traditions of beer production at Hooky, followed by meeting the Shire horses who still deliver beer to local pubs! Finish the tour off with a half hour beer tasting in the Visitor Centre. Treat your Dad like royalty this Father’s Day weekend by taking him to Blenheim Palace; spend the day exploring the Palace and grounds, or go on the all new ‘Upstairs’ Tour where you’ll see Guest Rooms that haven’t previously been open to the public. Or if your Dad is a big music buff, take him for an unforgettable evening of live music at the Nocturne Live Concerts in Blenheim Palace’s Great Court (15-18th June) – the atmospheric line-up includes guest appearances from Corinne Bailey-Rae, Gregory Porter & Jamie Cullum and award winning composer Max Richter. Enjoy a sumptuous Sunday Lunch at The Oxford Kitchen. Recently nominated in the BEST RESTAURANT category in Bucks/Oxfordshire in the prestigious Muddy Stilettos Awards 2017, treat your Dad to fine modern dining in Summertown’s Oxford Kitchen this Father’s Day. With a free bottle of beer for all Dad’s, what’s not to love!? Is your Dad a Morse fan? Take your Dad out for a wander around Oxford on an Oxford Official Inspector Morse, Lewis and Endeavour walking tour. You’ll be taken around the city by a professionally trained guide, visiting key filming sites and locations that were featured in the popular detective series. End the day with a drink in the famous Morse Bar at the Macdonald Randolph Hotel where the detective would spend time deliberating over cases! We’ve listed some of the great things that we think would make Father’s Day really special this weekend, but if you’re still looking for inspiration, make sure you check our What’s On page regularly for new events that your Dad will love.